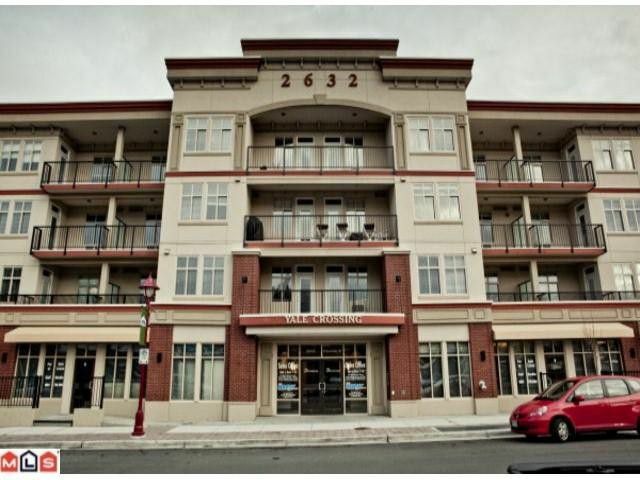 Great 1 bdrm plus den, 2 bath condo in the heart of Downtown. Quality through-out: Granite, undermounted sinks, electric fireplace, professional stainless appliances, laminate floor & carpeted bedrooms. Convenient built-in computer nook. Beautiful mountain views! Short walk to everything that you need - shopping, banking, restaurants, bus route, great farmers' market on weekend - all in historic Downtown Abbotsford. Includes 1 secure underground parking with elevator access. Hot water included. No smoking, and sorry, no pets.